Did I mention that we have bacon? 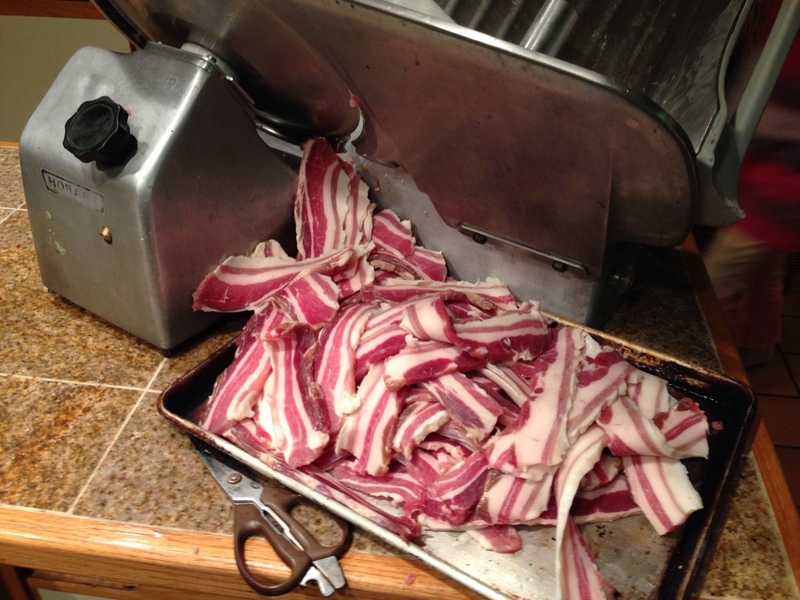 Hot off the slicer, a full rasher of bacon ready to be vacuum sealed. 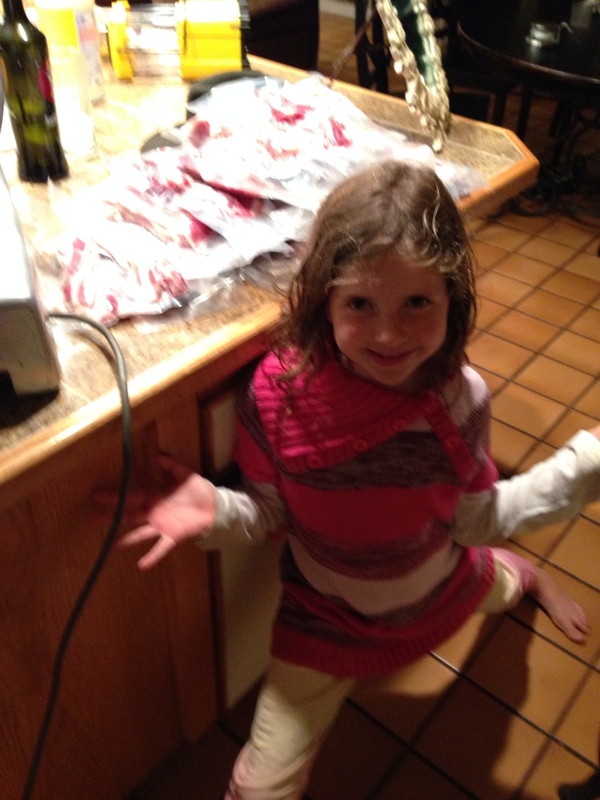 The Princess was in charge of the vacuum sealing and did all of these perfectly. It’s such a help to have great helpers. Not pictured is Spork who helped me by opening and holding each bag. Next PostNext Keep wondering where all those children in your house come from?